Reading and share top 8 famous quotes and sayings about Stay True To Yourself by famous authors and people. 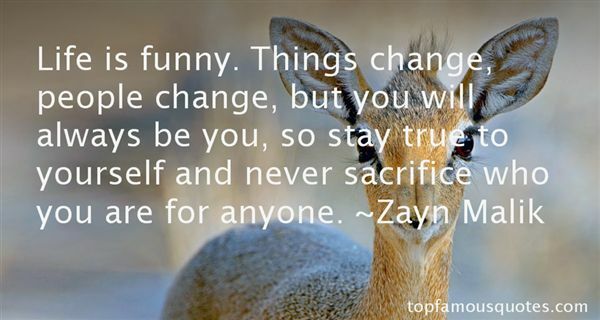 Browse top 8 famous quotes and sayings about Stay True To Yourself by most favorite authors. 1. "Overall I think that the most important thing is to have true friends, and always to stay true to yourself and never try to be somebody that you're not." 2. "It's hard to go with a trend. As soon as it's out, everyone picks it up. It's important to stay true to yourself. Have fun with fashion instead of letting it dictate." 3. "It's hard to stay true to yourself and what you want in life when there are so many distractions and so much craziness going on around you." 4. 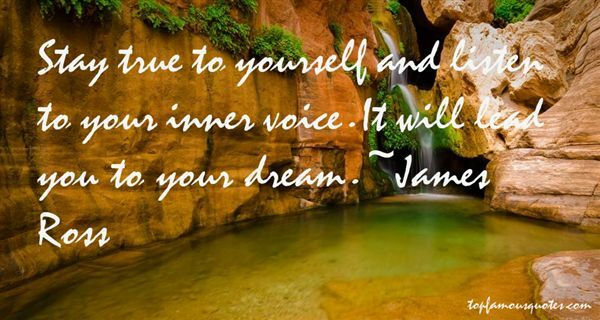 "Stay true to yourself and listen to your inner voice. It will lead you to your dream." 5. "Just stay true to yourself and true to wut you believe." 6. "You have to be 100 percent comfortable with yourself and who you are. You'll have unflattering pictures posted on the Internet for all to see, so you have to be able to handle yourself and stay true to yourself." 7. 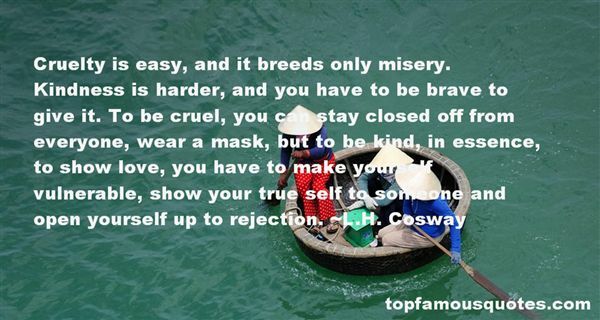 "Cruelty is easy, and it breeds only misery. Kindness is harder, and you have to be brave to give it. To be cruel, you can stay closed off from everyone, wear a mask, but to be kind, in essence, to show love, you have to make yourself vulnerable, show your true self to someone and open yourself up to rejection." 8. "Life is funny. Things change, people change, but you will always be you, so stay true to yourself and never sacrifice who you are for anyone."